The Sand Martin is one of the "hole-nesting ' birds of western Europe. In steep sand walls it digs a long tube and at the end it makes its nest. Streams and ditches have been increasingly channeled in the past years, making it difficult for the Sand Martin to make its nest. 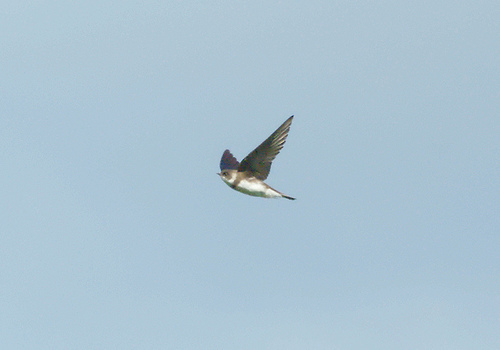 Therefore conservationists ave been restoring the steep sand walls and slowly the Sand Martin is returning. 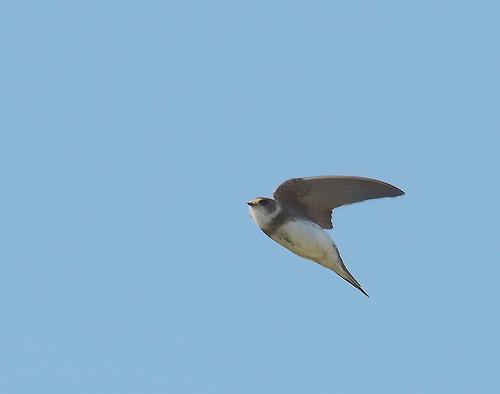 The Sand Martin is brown and white. The House Martin is black and white.